5 Commercial Real Estate & Properties in Narooma are listed in 3 categories. We have 3 Retail ShopsSale , 1 Other Commercial PropertiesSale and 1 OfficesSale . This property still has the structures of a showroom/office which could be re developed or cleared. The block of land is zoned commercial and also has rear lane access ideal for large vehicles. 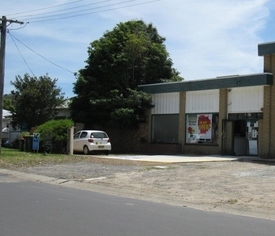 The property is suitable for re development Situated across the road from Narooma Library and National Parks complex. Priced to sell. 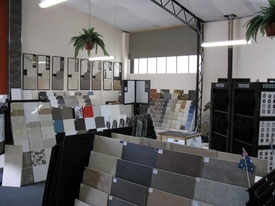 Montague Tiles, a progressive and well appointed Tile Reseller is available for sale. Excellent showroom section with wood heater, large store room, kitchenette, outdoor paved area including bbq and seating. Approximately 180 sq of usable space. Trading figures are available to genuine enquiries along with inventory. If you're looking for a business in the Narooma area, don't miss out on this easy to run profitable business. Could be yours. This business presents the ideal opportunity for a family or couple to run. Excellend food and regular clientele frequently indulge their senses at this popular eatery. Well set up with air conditioned comfort inside and casual al fresco dining out. Recently renovated with a long lease in place. If you're into good food, good coffee and good company, then make the most of this perfect opportunity to secure one of the best cafes on the South Coast. Figures will be given to genuine buyers, only upon signing a confidentiality agreement. 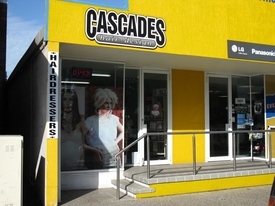 That's right.....you can do waves on the beach or you can make waves here, in one of the best little hairdressing salons on the South Coast. Fully fitted out with modern equipment including four work stations, two shampoo basins and display area. Loyal customer base, good lease and options for expansion. Stylise the business your way. Great opportunity to enjoy coastal living with a business income.